We have exciting news. You may have heard of our book, 100+ Management Models, but did you know that you can download a free taster from Kindle? Our new free ebook, 10 Management Models gives the reader a taste of what the main book is all about. Not sure whether you can benefit from the models? Give the free book a try and see if it influences your business. Fons Trompenaars and Piet Hein Coebergh are renowned business leaders and have compiled the most comprehensive list of management models to help you improve your management and leadership style. The book, released in September, has been well received by business managers and lecturers alike and was a Times book of the week in January. Download the free taster ebook from Amazon or click the image below to buy 100+ Management Models. 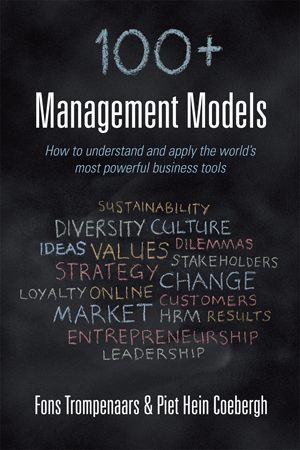 by Fons Trompenaars and Piet Hein Coebergh, co-authors of 100+ Management Models. 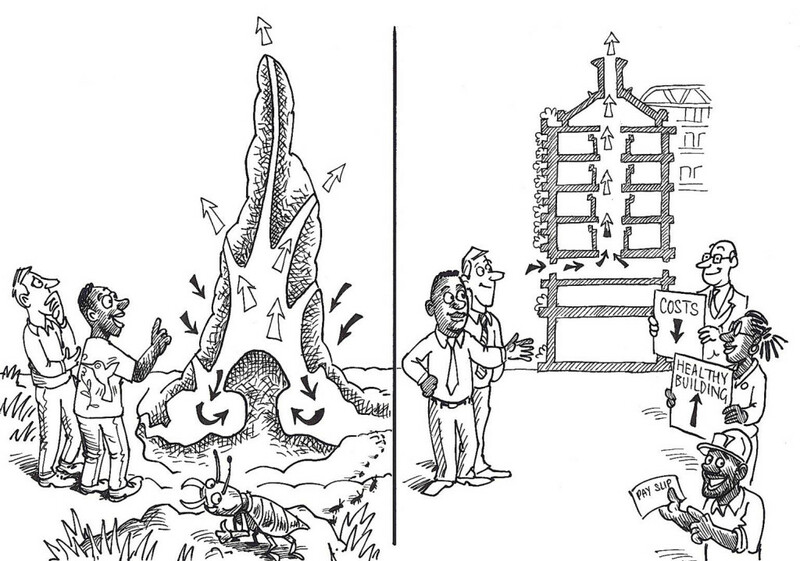 How do we turn poverty into development and scarcity into abundance with what we have? Gunter Pauli is an entrepreneur, author and initiator of the Blue Economy. His concept is about stimulating entrepreneurship while setting new and higher standards of sustainability, and also keeping associated costs down. The goal is high: to create 100 million jobs and substantial capital value through 100 innovations before 2020. This approach contrasts with the Red Economy (socialist planning, which didn’t work) and the Green Economy (which tends to require strong investments in unclear projects, benefiting only the happy few). The Blue Economy business model wants society to shift from scarcity to abundance ‘with what we have’, by tackling issues that cause environmental and related problems in new ways. The theory highlights benefits in connecting and combining seemingly disparate environmental problems with open-source scientific solutions based upon physical processes common in the natural world, to create solutions that are both environmentally beneficial and which have financial and wider social benefits. Twelve axioms of economics: principles of purpose, growth, productivity, cashflow, price, quality, competitiveness, place, innovation, diversification, management and thermodynamics. More information can be found at www.zeri.org. As for combining seemingly disparate environmental problems with open-source scientific solutions, theories about innovation can be used, as well as creativity techniques like brainstorming, bi-sociation, lateral thinking and Yellow Thinking. The ZERI movement is engaged in a wide range of projects that are recorded and shared online through www.theblueeconomy.org. understanding of what sustainability can mean for society in practice. Blackburn, W.R. (2007) The Sustainability Handbook: The Complete Management Guide to Achieving Social, Economic and Environmental Responsibility, Washington, Environmental Law Institute. Hitchcock, D., Willard, M. (2009) The Business Guide to Sustainability: Practical Strategies and Tools for Organizations, New York, Earthscan. Pauli, G. (2010) Blue Economy – 10 Years, 100 Innovations, 100 Million Jobs, Taos, Paradigm Publications. 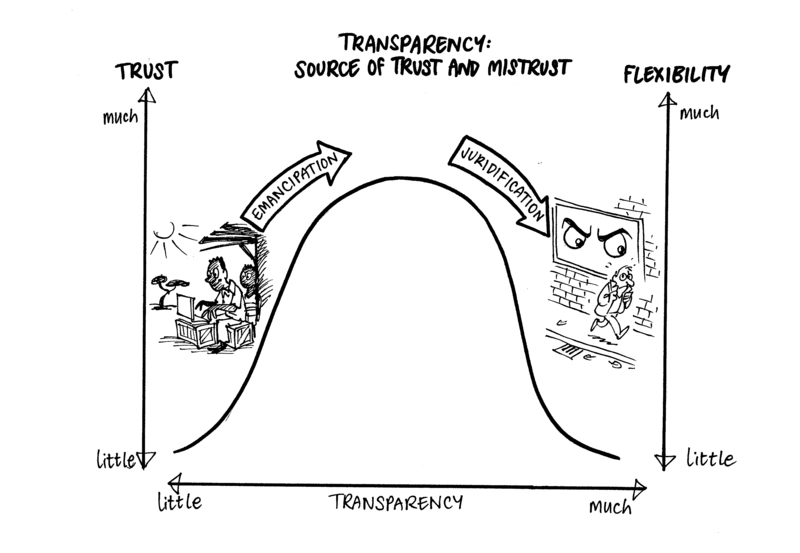 What is the optimum level of transparency for an organization? Transparency seems to be growing worldwide, yet people differ widely in their assessments of the value and impact of transparency. To explore the risks and benefits of transparency, consultant and former financial journalist Edi Cohen and lecturer and consultant Piet Hein Coebergh reviewed literature on transparency and interviewed 33 (Dutch) achievers in science, politics and business on when individuals or organizations should be transparent about who they are, what they want and what they do. Their research showed that decision makers vary greatly on the dilemma of when to be transparent. Optimists believe that the benefits of transparency outweigh the disadvantages; pessimists believe the opposite. Perceived benefits include increased access to valuable information and increased opportunities to raise one’s voice, leading to emancipation of deprived people. Perceived risks include increased juridification (as people tend to regulate more when they know more) and decreased privacy. With the help of history professor James Kennedy, Coebergh and Cohen constructed a concave function that reflects how different levels of transparency are experienced. When there is little transparency in a given environment, people find it difficult to trust each other and hesitate to behave flexibly. When people open up and behave more transparently, mutual trust is raised and behaviour becomes more flexible. Conversely, redundant transparency results in people feeling over-monitored, making them feel mistrusted. Juridification – the burden of rules that govern a group – typically measures redundancy of transparency. The reconciliation of the dilemma between emancipation and juridification is governed by the individual and collective morality, taste, ethics and intelligence of stakeholders, as some people deal well with tough information, while others don’t. The model helps to identify the risks and benefits of transparency for individuals or organizations. This aids in assessing to what extent transparency should be more or less pursued in a given context. The pros and cons of transparency are increasingly being researched. For global societies, Kirstin Lord found that ‘the information revolution may not lead to security, democracy or peace’ (2007). For publicly listed corporations, Coebergh (2011) found that transparency (in corporate strategy) significantly contributes to corporate reputation and to liquidity of stock. In a historical essay, Manfred Schneider (2013) also shows that the human urge for transparency is constantly growing, leading to societal control increasingly replacing societal trust. Coebergh, P.H., Cohen. E. (2009) Grenzen aan transparantie, Amsterdam, Business Contact. Coebergh, P.H. (2011) ‘Voluntary Disclosure of Corporate Strategy: Determinants and Outcomes – An Empirical Study into the Risks and Payoffs of Communicating Corporate Strategy’, available online at Social Science Research Network. Revolution May Not Lead to Security, Democracy, or Peace, New York, State University of New York Press. Hundreds of models have been developed to track, measure and forecast business solutions, but as fashions shift how can we apply these theoretical frameworks effectively in real organizations? 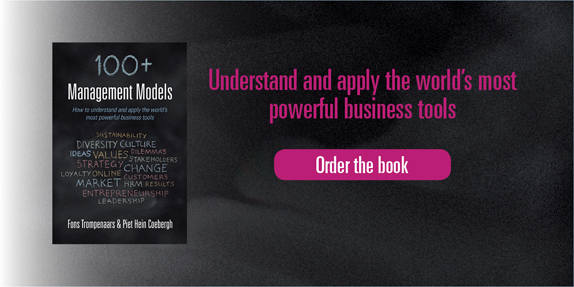 Now, for the first time, business leaders can find all the most important models in one place. 100+ management models, the new book from international management experts Fons Trompenaars and Piet Hein Coebergh is a handy reference containing precise summaries of more than 100 classic management models. Each model is presented clearly and concisely, showing what problem it is intended to solve and how it might be used within an organization. All models also contain a helpful visualisation to aid understanding. Each model is categorised under one of nine approaches to business: sustainability, innovation and entrepreneurship, strategy, diversity of cultures, customers, human resource management, benchmarking and results, leadership, and implementation. At the end of each section there is a summary of the key dilemmas that tend to emerge from the particular function. This is an ideal book for both university students on management courses and business strategists wishing to find out which management models can work best for their organization. You can view the contents list and see some sample models on this page. Fons Trompenaars is the world’s leading cross cultural management expert. He is founder and director of Trompenaars Hampden-Turner (THT), a renowned consulting firm in the field of intercultural management. He is the author or co-author of eleven books on culture and business, including the global bestseller, Riding the waves of culture. His books have been translated into a dozen languages. Piet Hein Coebergh is an expert in formulating and communicating corporate strategy. He is lecturer at the University of Applied Sciences Leiden and managing consultant at Coebergh Communications & PR. He is author or co-author of a dozen books and articles on communication, governance and e-commerce. How can employee engagement be strengthened through communication? Academic and former communications professional Mary Welch connects insights on HRM, leadership and communication in her view of employee engagement. The roots of her model can be traced back to the work of Daniel Katz and Robert Kahn, who discussed the importance of engaging with employees in their 1966 classic The Social Psychology of Organizations. This was taken up in 1999 by Gallup’s Marcus Buckingham and Curt Coffman in their book First, Break all the Rules, that claimed that engaged employees drive customer loyalty and that ‘The right people in the right roles with the right managers drive employee engagement’. Since then, business interest in the concept has prompted demand for the provision of employee engagement consultancy services, which has been met by companies including Gallup, Aon Hewitt, Mercer, Towers Watson, Hay Group, Kenexa and BlessingWhite. These companies, among many others, offer a series of reports and tools (widely available on their corporate websites) to support the bottom line by measuring and strengthening employee engagement. engagement at an organizational level. Engagement is recognized as a three-component construct comprising emotional, cognitive and physical dimensions, associated with dedication, absorption and vigour. The three psychological conditions necessary for engagement (meaningfulness, safety and availability) that Robert Kahn identified in his later work are integrated into the model. Commitment is associated with engagement and is affected by leadership communication, so the model integrates the constructs of organizational commitment as an antecedent of engagement. It positions aspects of leadership communication from senior managers in relation to employee engagement. Communication is a psychological need of employees, which organizations have to meet to maintain and develop employee engagement. Aspects of internal corporate communication are positioned as influencing engagement variables on the one hand (by promoting commitment and a sense of belonging), and as communication engagement outcomes on the other (through awareness and understanding). The model conceptualizes innovation, competitiveness and organizational effectiveness as organizational outcomes of employee engagement, which can be promoted by effective internal corporate communication. communication strategies and tactics as well as the communication needs of employees. In combination with a wide choice of tools that are available on the Internet, typically provided by consulting firms who offer additional services for analysis and implementation, the model serves as an academic reference and possible framework for improvement plans. Despite its importance for leaders of organizations, there is considerable academic confusion about the meaning of employee engagement and its contribution to performance. On a theoretical level, however, there appears to be consensus about the strong role of communication. 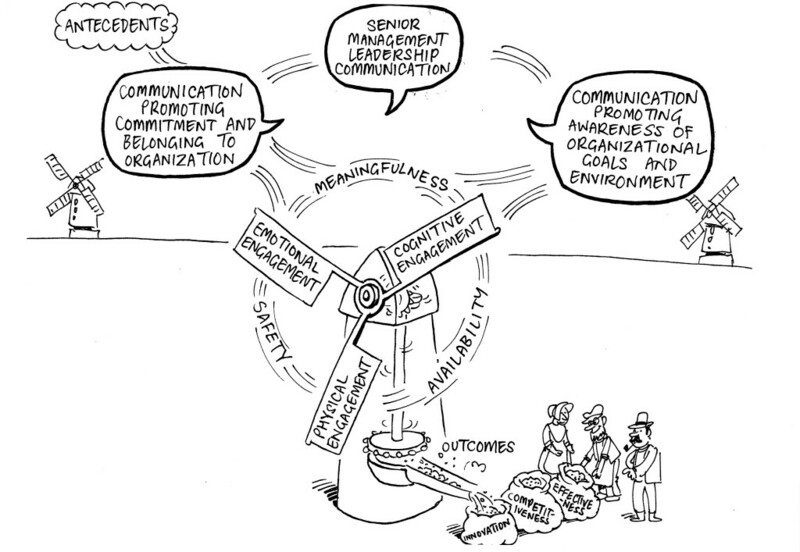 This is in line with how various authors on management theory define the importance of communication in leadership, including John Kotter’s 8-step process for leading change (discussed earlier in this Part), with step four being ‘communicating the vision for buy-in’. Surprisingly, corporate communication literature has not yet adequately considered the concept of engagement. This may be due to confusion concerning the concept, and to concerns about overlaps with other constructs such as commitment. This model tackles the gap in the literature, modelling the role of internal corporate communication in enhancing employee engagement. Albrecht, S.L. (2012) Handbook of Employee Engagement: Perspectives, Issues, Research and Practice, Cheltenham, Edward Elgar. Groysberg, B., Slind, M. (2012) ‘Leadership is a Conversation’, Harvard Business Review, June, pp. 75–84. Welch, M. (2011) ‘The Evolution of the Employee Engagement Concept: Communication Implications’, Corporate Communications: An International Journal, 16:4, pp. 328–346.